But, before you can get anything out of that session you have some homework. There are two tools every blogger should have and a third tool that every WordPress blogger should have. All three tools are free. Unless you are just getting started you probably already have Google Analytics installed on your blog. But just in case you are new to the blogging world let me tell you why. Your blog is run on a web server and that web server probably has its own log files and its own stats. Back in the old days when the internet was entirely steam driven we used to get information on who was coming to our website, what they were looking at and how many of them there were by looking at those stats. But here is a bit of a surprise, much of the traffic for your website, for your blog, is not people. You know that Google sends its spiders (programs that crawl the web are called bots or spiders, get it?) around to your website all the time to see if you have new content. This is good. We want Google to know about our new content. Bing also does this as does Baidu which is a Chinese search engine. And that’s just the good bots. These include browsers from real people but also bingbot, googlebot, Baidu spider, and Yahoo slurp. But guess what? Some of those programs that are claiming to be Chrome, Safari or Firefox are actually less helpful bots that are hitting your site. If someone wants to know your traffic, they want to know how many real people are seeing your blog posts. One of the big things that Google Analytics does is it sorts out what is fake and what is real in a way that is “good enough” and standard. So companies you work that have a clue with will want to know your stats only after they have been filtered by Google Analytics. Google analytics can also tell you how many people hitting your site come from social media, how many are on a mobile phone and how many are in California. These numbers also are not perfect, but they are good enough and standard. If you run your site on WordPress you can create a free Google Analytics account and then install the Google Analyticator plugin as the simplest way to turn on these stats. See Google for how to get started. Anyone who owns a website should also have an account at the Google Search Console. If there is something wrong with your site (like Google doesn’t like some of your links and is about to ban you) they will not send you an email. They will not call you. They will not come to your door. They will send you a message via the Google Search Console. That alone is reason enough to have an account and to check it the first of every month. If you have not looked at that information you are missing a gold mine. If you run a WordPress site I also recommend you install the WP-Click-Tracker plugin. WP-Click-Tracker will tell you want links people are clicking on on your site. It may surprise you. Installing this plugin and making a series of changes over the course of an hour or two helped me make around $500 more a month from affiliate links. That’s not bad for an hours worth of work. Install it on your site and then come to our talk to here how it might help you as well. Author Bio: Chris is the host of the Amateur Traveler, a popular online travel website that focuses primarily on travel destinations. It includes a weekly audio podcast, a video podcast, and a blog. The Amateur Traveler audio podcast is more than 10 years old and gets more than a million downloads a year. 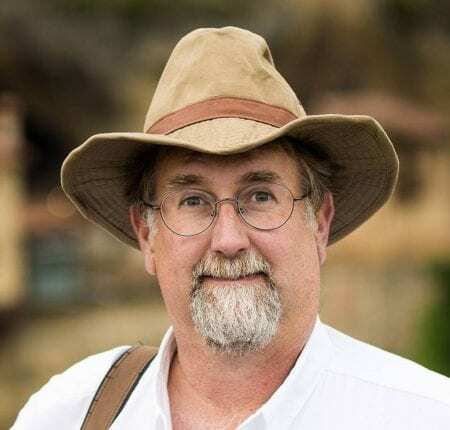 Chris has won a Lowell Thomas Award from SATW and a SMITTY award as the Best Independent Travel Journalist from Travel & Leisure. With Jen Leo and Gary Arndt he also produces the This Week in Travel. Chris now owns and runs BloggerBridge.com which connects bloggers and companies. Thanks for the tips. I’m going to install the Click Tracker plug-in and see what information it yields. Looking forward to attending your presentation.